Train “Laser Beam” top-hand drills to improve rotational hitting mechanics unlocking the explosive power of your core. Our rotational power hitting aid acts as a bridge, transferring the energy generated from your core muscles to your swing. 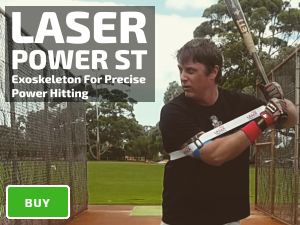 Our Laser Power Swing Trainer provides your top-hand swing with the perfect amount of resistance to keep your hands inside the ball for every swing you take while reducing “muscling up” or “casting” using your arms. Resulting in power generated from your core. Train to hit the high ball. The trail/top-hand plays an essential role in generating bat speed, and power with contact closer to your body, such as the fastball more elevated in the zone. Strength does not equal power, swinging a heavy bat by itself improves strength, however, reduces bat speed, and creates a long swing. 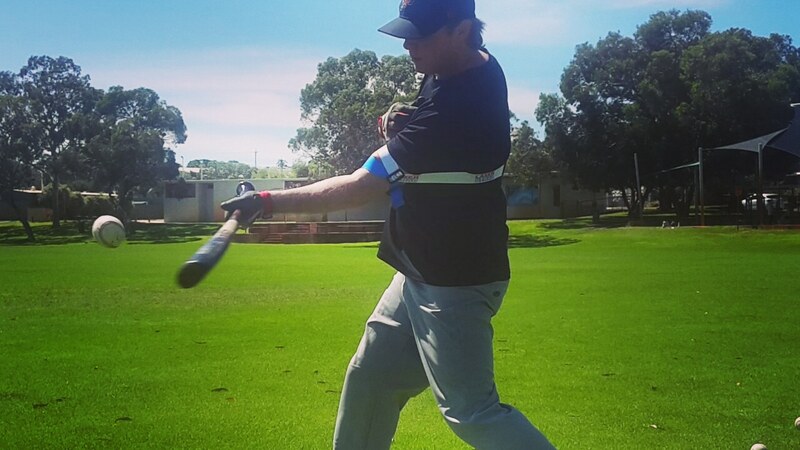 Even smaller players can build a powerful swing; by combining a heavy bat with our hitting aid, to improve strength, bat speed, and staying connected; the ultimate formula for a power hitting. If you’re strong, you can use a heavy bat, if you’re weak you can use a regular bat. Toss the ball toward the front hip of the player. 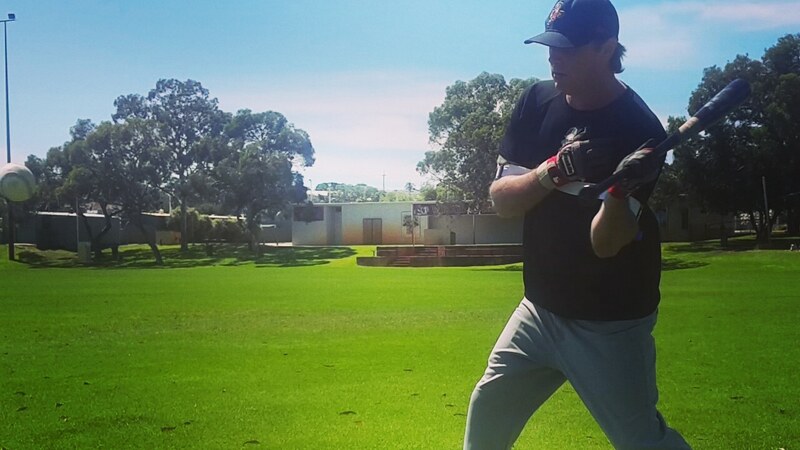 If the ball that isn’t in the right location, don’t swing. Top-Hand drills are designed to improve hitting the ball higher and deeper in your contact zone, as opposed to low ball, and extension drills. To help isolate your core place your elbow close to your hip. Relax your hands and let the bat head drop down. Generate your swing from your core, allow your hips to control your swing. Turn your back leg from your hip, you’ll be able to keep your hands back; making adjustments to changes in pitch speed, and late movement. If your hands lead, you’ll disconnect from your power source, reducing bat speed, and contact accuracy. 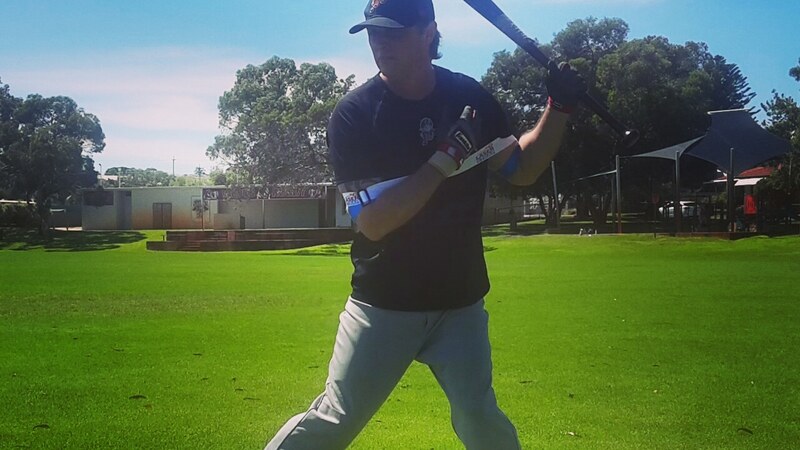 The key for “top-hand power,” especially with the high ball, is to keep your bat level at the point of contact. Heavy bat training improves strength in the forearm muscles which control the level of your bat. Weak forearms, and bad mechanics cause dipping of your barrel, hitting the bottom of the ball; resulting in a swing and miss, or pop-up. Additionally, your wrists turn from your forearm muscles, a rolling movement causes the barrel to rise; as a result, you’ll hit the top of the ball; causing a ground ball, or swing and miss. Roll your forearms after contact, as you feel pressure on your rear shoulder. If you don’t roll the barrel, it will slow down your swing; visualize whipping the bat around your body like nunchucks.